Guests at this eco resort are spoilt with over 1km of beach frontage, seaside plunge pools, morning yoga, access to ocean front massages, lovely little huts and endless good times at one of the best beach bars. Papaya Playa Project: Beach side, Tulum Beach Road at 4.5km. Tulum is as flat as a tact which makes it perfect for exploring by bike. Cycle along the main road on the beach, into town and if you're brave (fit) enough you can even cycle to the cenotes. Cenotes are large fresh water sink holes in the earth that create electric blue pools perfect for swimming. ...... The grand cenote is one of the best and home to lots of friendly little turtles. Tulum, especially along the beach, is home to beautiful boutiques that sell clothes, jewellery and beautiful home wares. Hammocks, rugs, art, jewellery are all incredibly colourful and a fraction of the cost of what they retail for elsewhere - leave room in that suitcase! You will notice the lines are long and they don't do reservations but don't let this deter you. Enjoy a cocktail while you wait and build up your appetite. Hartwood is beautiful modern Mexican food served in a fairy light lit courtyard. Agave marinated beef teamed with lobster mashed potato anyone? Hartwood: jungle side of Tulum Beach Road at the 7.6km mark. Sitting on a patch of rocky coastline over looking the Caribbean just south of Tulum's downtown, the ruins showcase several temples and castles from the once thriving Mayan civilisation. When you go into town, stop by one of the many street vendors. You won't get better, cheaper, more authentic Mexican food anywhere else. A plate of tacos will cost you about $5. Even more reason to order 2! Tulum is a mecca for yogis (the bendy or beginners) looking for a relaxed, rejuvenating retreat or some sunny spots for a salutation. There are many places that offer yoga the best being Yoga Shala, Amansala and Papaya Playa. Their marketing isn't the best, so you might walk straight past it. The business owner is adorable and they serve the cheapest, tastiest authentic food by the beach which you can enjoy on a swing chair amongst the palms. The fish tacos are life changing and the best way to start the day. Chenchos: Beach side, Tulum Beach Road at 5.2km mark. 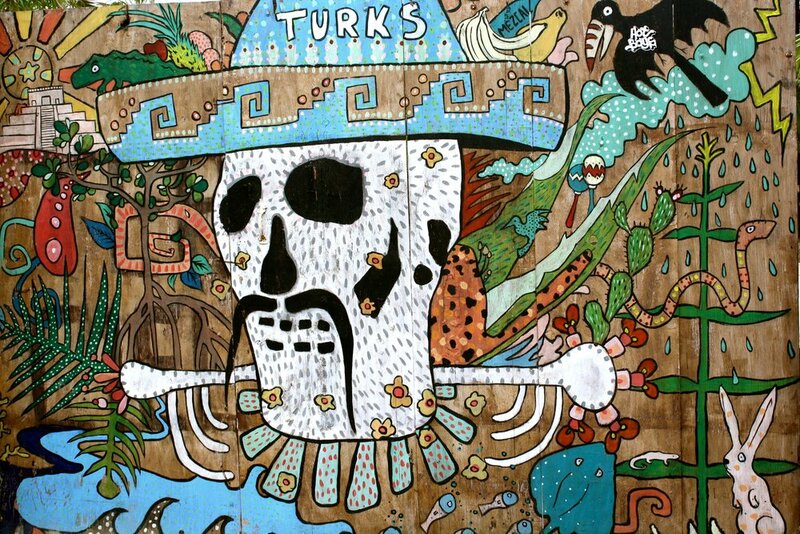 Have you ever been to Mexico or Tulum? I would love to hear what you loved most about its so leave a comment.